Pop/rock band In Hindsight are heading out on their own tour this July. 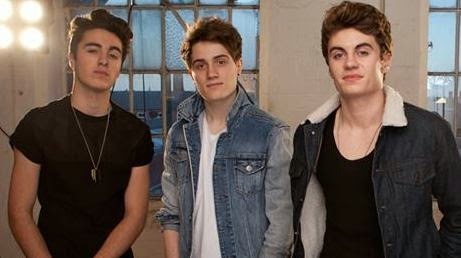 The three-piece from Nottingham - brothers Daniel, 15 and Michael, 18 and best friend Isaac, 18 - will hit up Manchester, Newcastle, Birmingham and London. They are also scheduled to add more dates and cities shortly. To pick up a ticket for the tour, and further VIP upgrades, click here. Check out the lyric video for In Hindsight's latest track Dangerous. Keep up-to-date with In Hindsight on Twitter, Facebook and Youtube.